Successfully saved Creamy Tomato Artichoke Chicken (Whole30, Paleo, Dairy Free) to your Calendar. You can also save the ingredients to your Grocery List. This creamy tomato artichoke chicken is absolutely delicious. Whole30, paleo, and dairy free, the recipe is simple but big on flavor and so dang good! 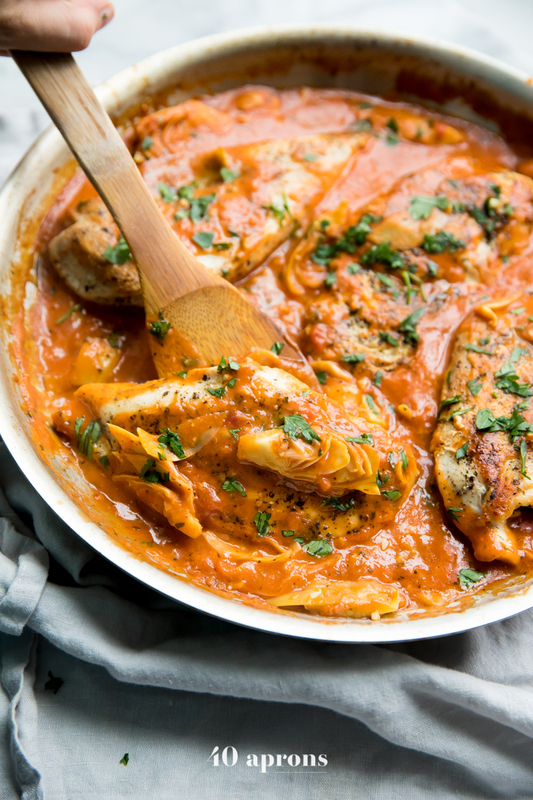 Made with only 7 ingredients, this creamy tomato artichoke chicken is a fantastic paleo or Whole30 dinner, but everyone would love it!